While it might get a short shrift sometimes, design is all about identifying, measuring, and driving business and customer objectives through problem-solving. “If only I moved that column 5 pixels to the left.. then that would have made our design a success!” — No designer ever. If we can all agree that the above statement is a bit nonsensical, then why does it come up so frequently? How do we get teams and organizations to stop focusing on the minutiae and, instead, focus on something bigger? When you look deeper into design, the actual designs, themselves, are just permutations behind the overall goal of design: problem-solving. Design is about solving user problems and accelerating business objectives. So, to formally define objective-driven UX design, it is about solving user problems in the context of a business objective. Let’s be clear: a problem is not “we need more revenue.” Rather, a problem is: our customers are confused during our app’s onboarding experience, which lowers our conversion rate and NPS. Notice how we appended two objective and measurable metrics to our problem statement: conversion rate and NPS. Your team, both business and product, will ask the right questions. Your team can focus on what’s important and not on the minutiae. Your team is clearly aligned with the objective. Your team knows how to define and measure a successful deliverable. 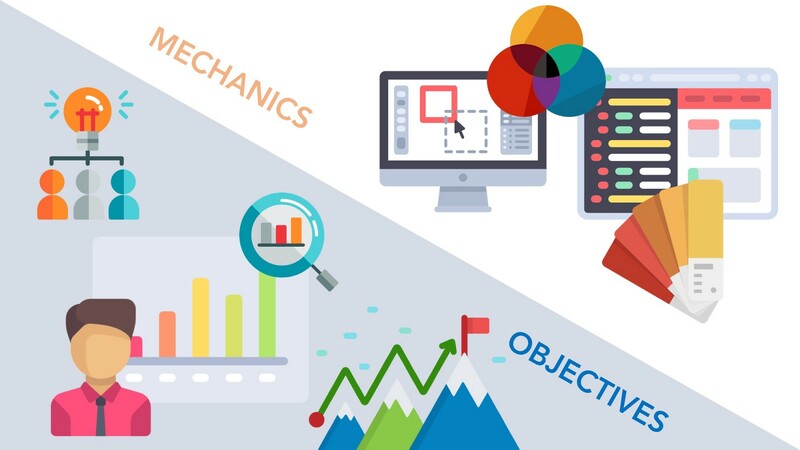 Overall, you can design and develop much faster due to business and product alignment. Start with defining the problem — What are you looking to solve? Is this problem worth solving? Will solving this problem positively impact the user experience and business outcomes? Define the metrics and expected outcomes — What metrics are you looking to move? Why these particular metrics? What outcomes do you expect? How long will you need to measure? How will you measure? Define the constraints — What resources do you have at your disposal? What is your timeline? What is the project scope? Identify the appropriate design mechanics — Not every design project requires the full suite of design tools. You should adapt your design process to most efficiently drive positive outcomes for your organization. Design, Test, Iterate — This would be your normal design process. Measure the Outcomes — Has the design solution positively impacted the metrics? Were your outcomes as expected? What was unexpected? Have you measured for long enough to know? 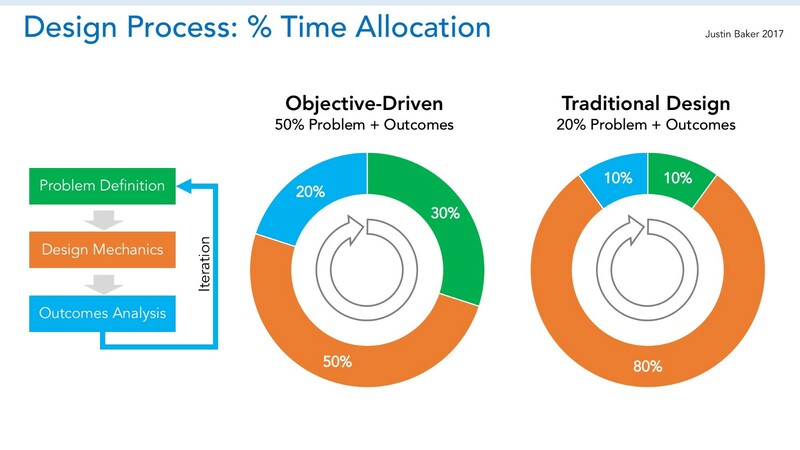 Accelerate Outcomes — What can you do accelerate the outcomes? This is where you can decide to iterate on the design itself or maybe reassess the problem statement, outcomes, and constraints. When you iterate on an objective-driven UX project, the focus of your iterations should never just be on the designs themselves. You should focus on iterating on the problem statement, identifying and measuring the correct outcomes, and defining the correct constraints. Experienced designers will tell you that the biggest design challenges are not with the actual implementation of a design solution, but rather with identifying the correct problem to solve.